I’m no spring chicken at 6am on a weekday morning, but Friday was an exception. 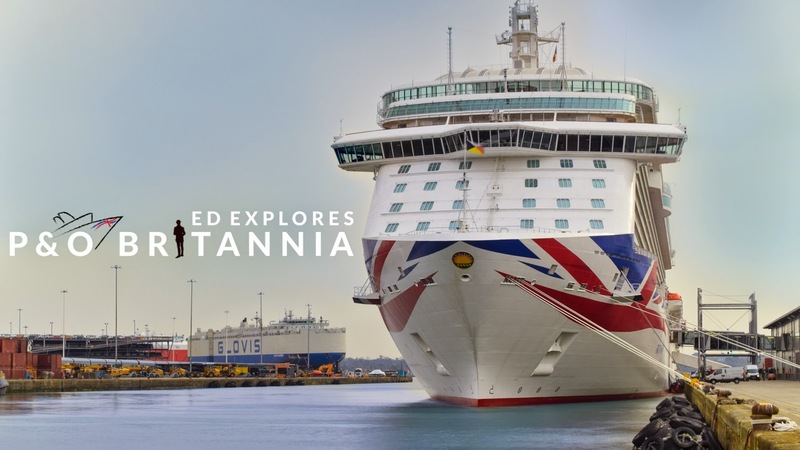 Excitedly taking the early train to Southampton, I was soon to be greeted by P&O’s BRAND NEW flagship vessel, Britannia! 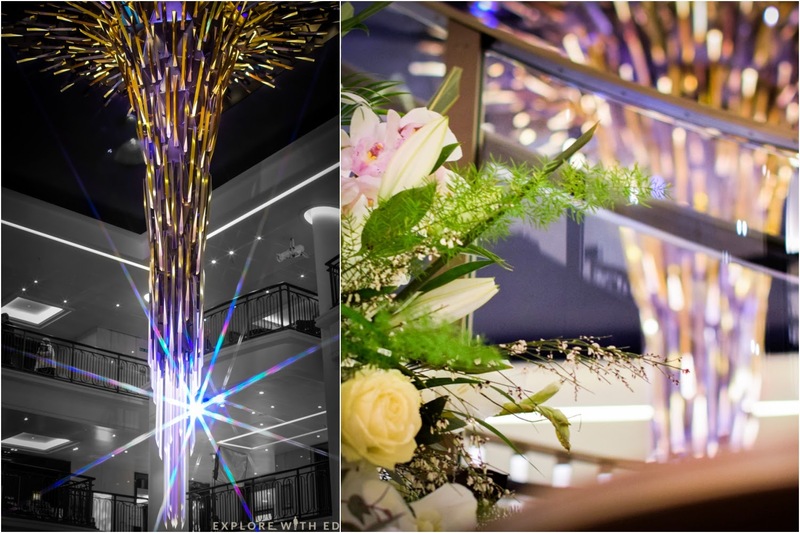 The 141,000 tonne ship sailed into Southampton for the first time on Friday 6th March to a week long celebration with fireworks, fanfare and flag waving. Things appeared to reach fever level on Tuesday when her Majesty the Queen arrived at Ocean Terminal to officially name the ship, joined by a wave of famous faces and P&O’s food heroes. 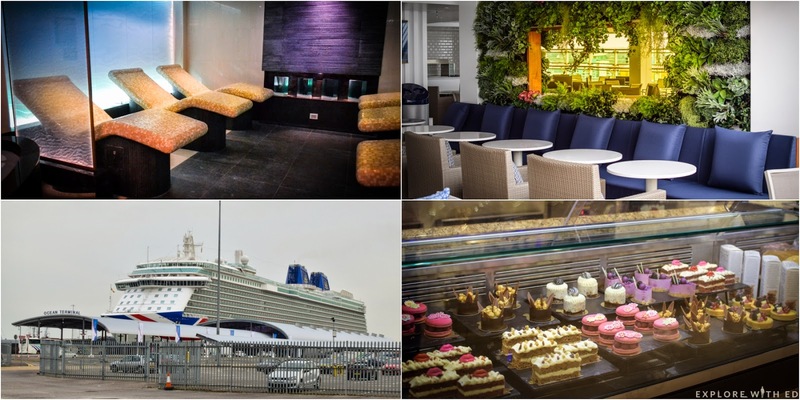 Thanks to Cruise Critic and P&O, I had the pleasure of exploring Britannia before her maiden voyage, as well as sampling some of the delicious food that around 3,600 guests will be spoilt with. I’ve previously cruised on Ventura (large family-friendly sister ship) and had a ball – so expectations were high! First impressions were spectacular! 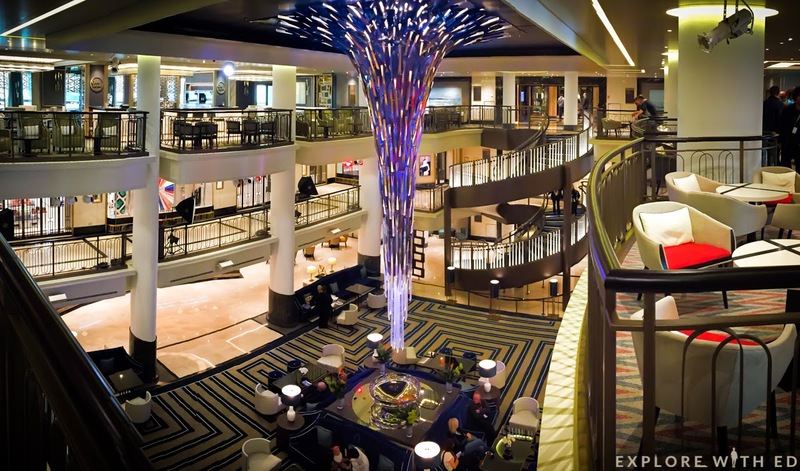 Leading straight into the grand atrium, I stopped to appreciate the striking starburst feature, the epitome of this ship’s innovative style and splendour. 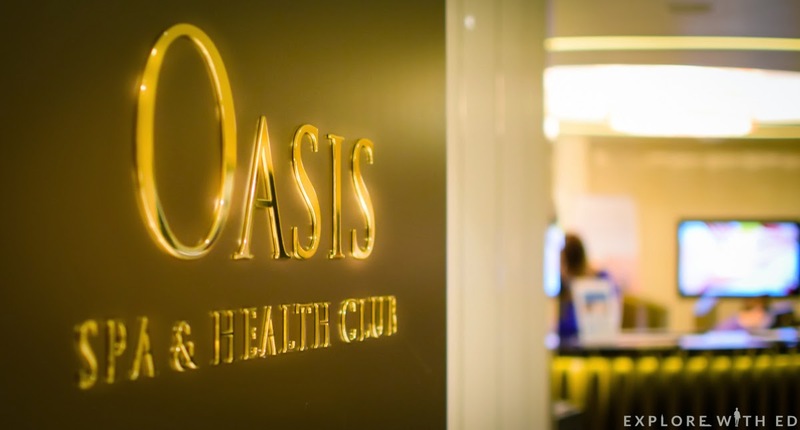 I then wandered into the Oasis Spa and Health Club. 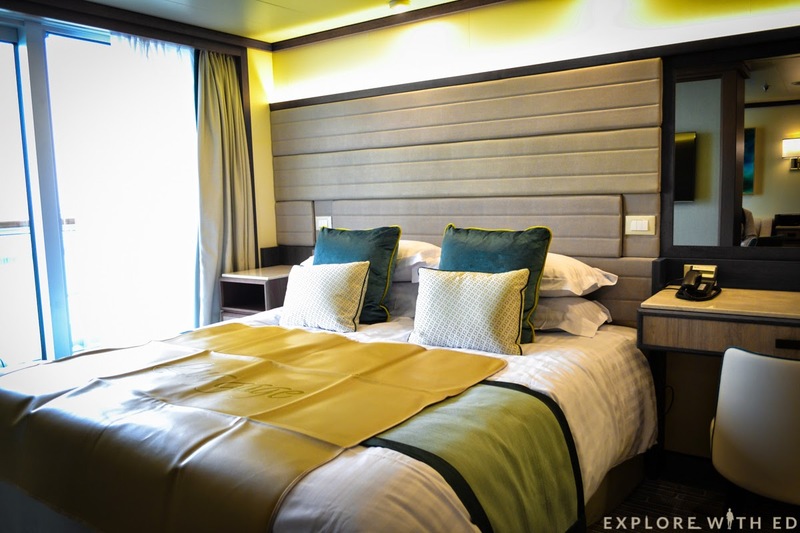 It’s an extensive network of rooms ready to pamper and groom guests coming onboard. 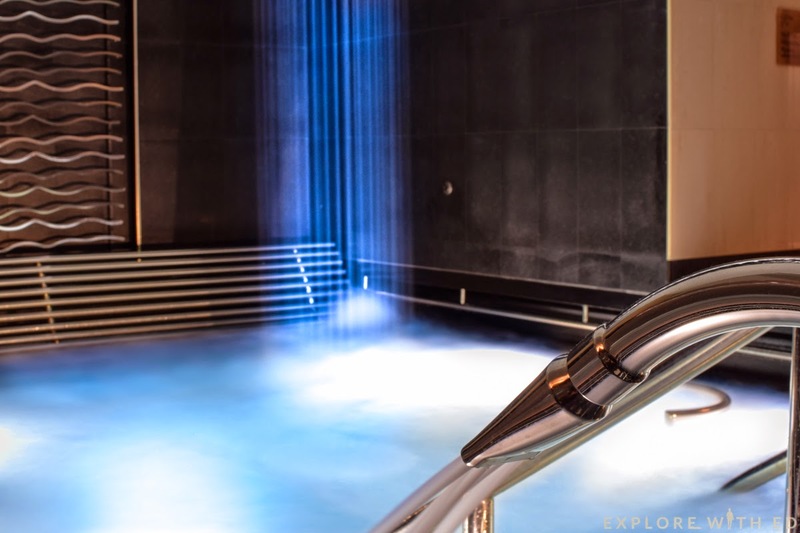 My favourite element was the spa’s atmospheric indoor pool and sauna where water cascaded from the roof onto the bubbling warm pool below! On Deck 6 was the entrance to the Headliners Theatre. 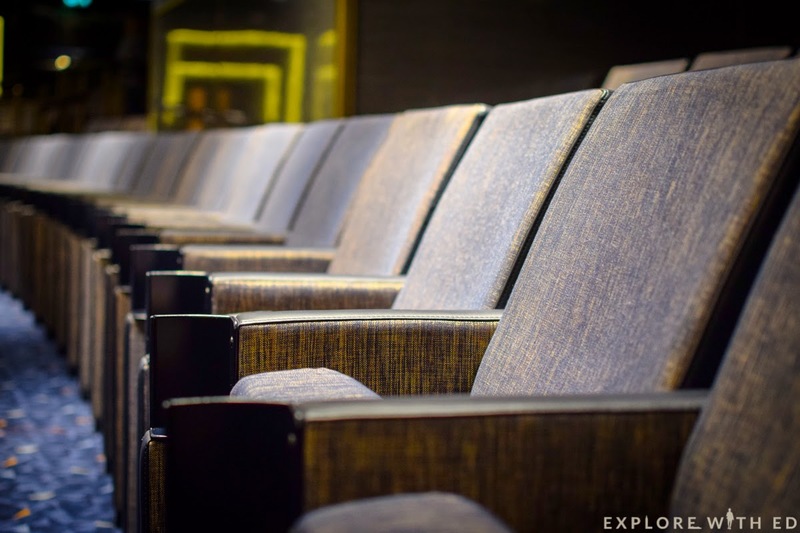 Complete with plush seating and mood lighting, it would soon be hosting a variety of entertainment shows and events. The Sindhu is one of thirteen dining options onboard, and each have their own energy and style. The ambience of Sindhu’s is very chic and cosy. 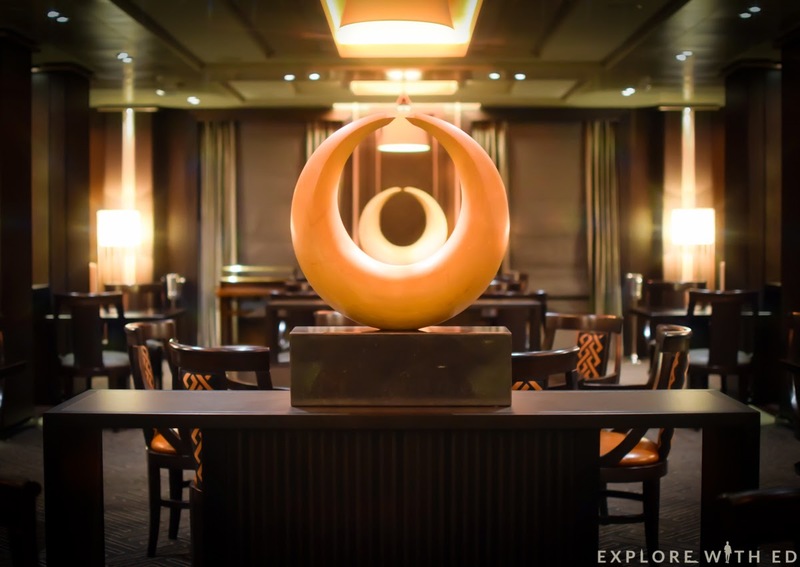 I think the bar would be a great spot to linger over a beverage before tucking into some Indian-inspired cuisine. 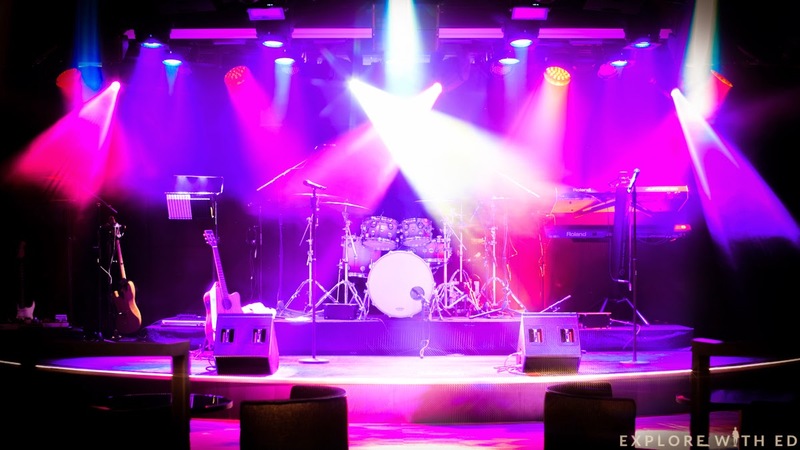 The Crystal Room and Live Lounge venues had a much more lively atmosphere. 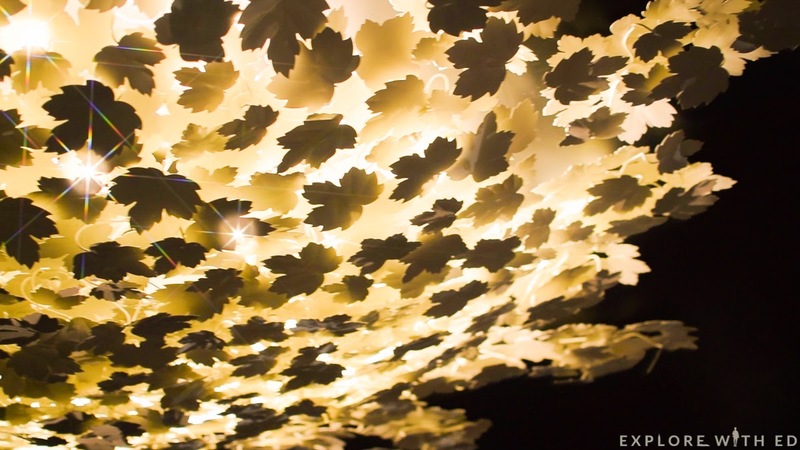 They were both stirring with people and disco lights and would be ideal for an evening out. At 1pm I had lunch in the Oriental Restaurant where, as you’d expect by the name, appetising food from Asia can be found. 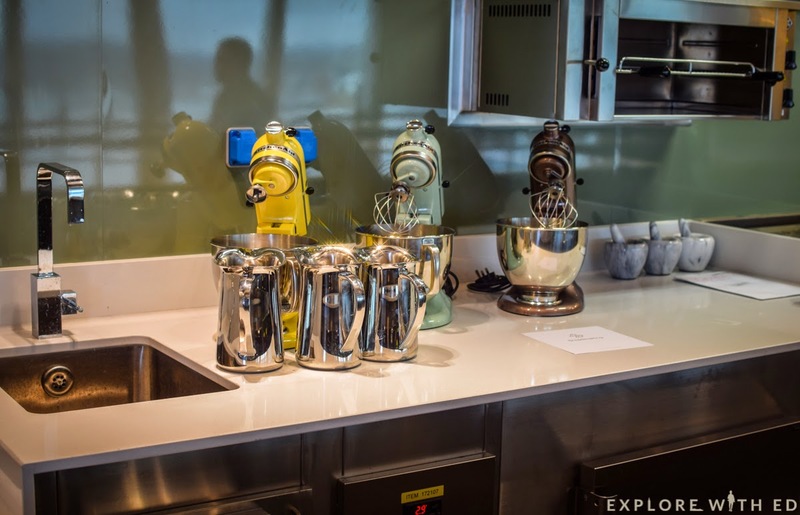 For this tour, I had the option to try a dish from the different venues onboard. 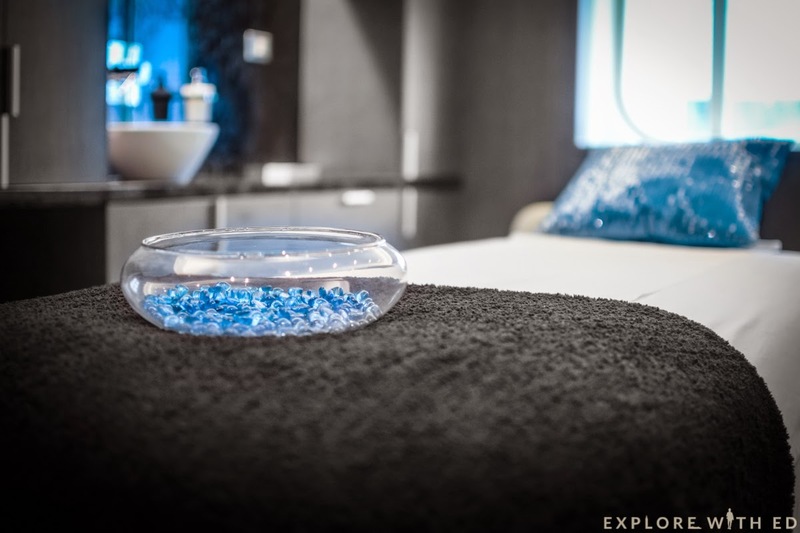 It was a great way to sample what guests will be spoilt with over the duration of a typical cruise. Below is the roof detail as you enter this classy restaurant. I had the ‘Tikki Teen Tarike Se’ starter (from Sindhu); a potato, green pea and red kidney bean galette with a mint and tamarind chutney. It was bite-size brilliance, each offering a different taste and texture to prepare my palate for the main event. 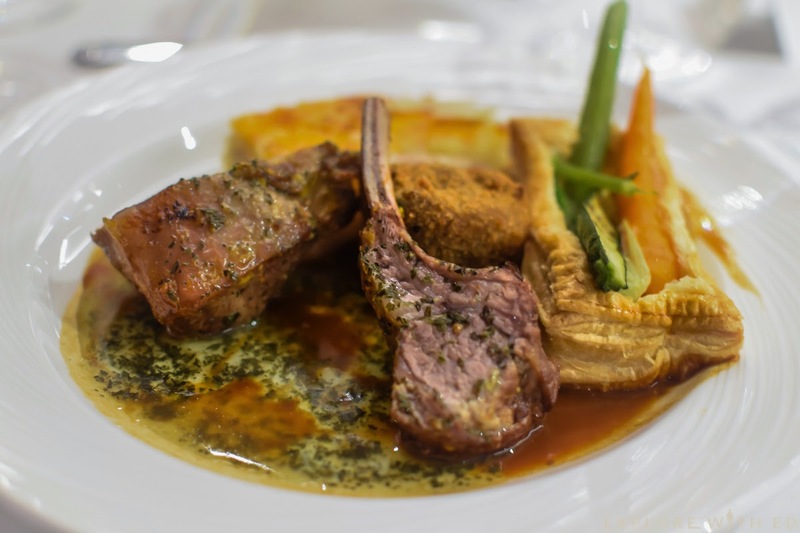 I then enjoyed ‘mustard roasted rack and slow cooked shoulder of lamb’ (The Limelight Club) that came with lemon scented carrot, baby vegetable tart, potato galette, rosemary jus, and of course a drizzle of mint sauce. The lamb was tender and lean and went perfectly with the crunchy potato and vegetables. 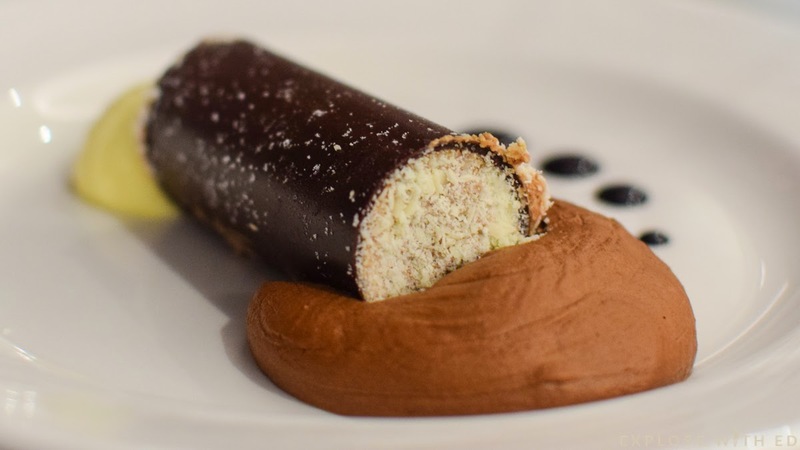 My delicious dessert was this chocolate cannelloni (with frozen yoghurt and crushed honeycomb – The Glass House). I thought the mousse and crisp chocolate coating was very light and luscious, and hit the spot after my meaty main course. Other options included a pasta dish or salmon for main, and a warm bread pudding with icecream. Following this you had the option to relax, sip tea/coffee or wine, but I was keen to explore the rest of the ship. 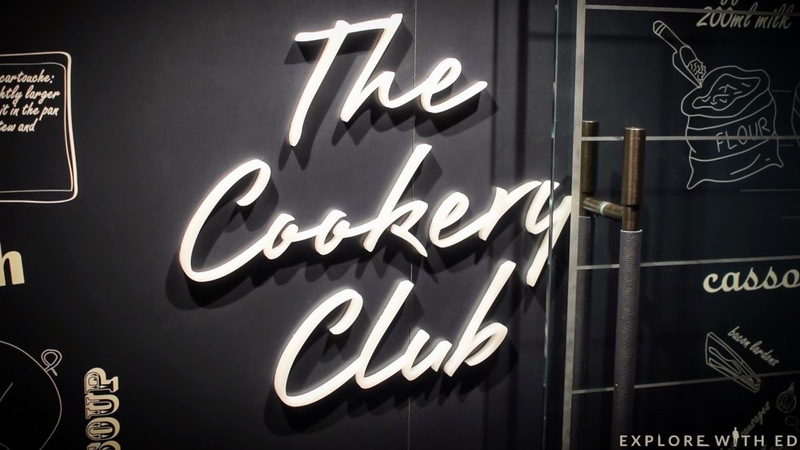 My next stop was The Cookery Club, a fantastic well-equipped space to have masterclasses with onboard chefs, or one of P&O’s celebrity food heroes like James Martin (on selected cruises)! It’s not something I’d usually do, but after a recent masterclass with famous Italian cook Gennaro Contaldo in Cardiff (click here to save my blog on this for later), I know I’d really relish this experience. 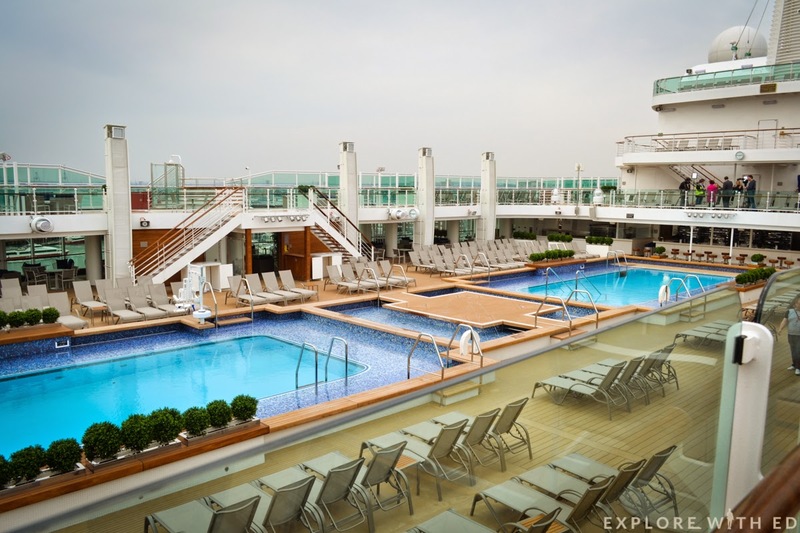 The Lido deck’s pool area is very open and airy, it’s easy to imagine many hours lounging here in the mediterranean sunshine with a cocktail in hand. I could definitely see myself on one of these comfortable sofa chairs (above right) in a tranquil area exclusive to adults. I was also impressed to discover that there’s a deck area dedicated for just teenagers where they can mingle and relax. Young families also have the option of using a fantastic children’s club too (click here for more information). 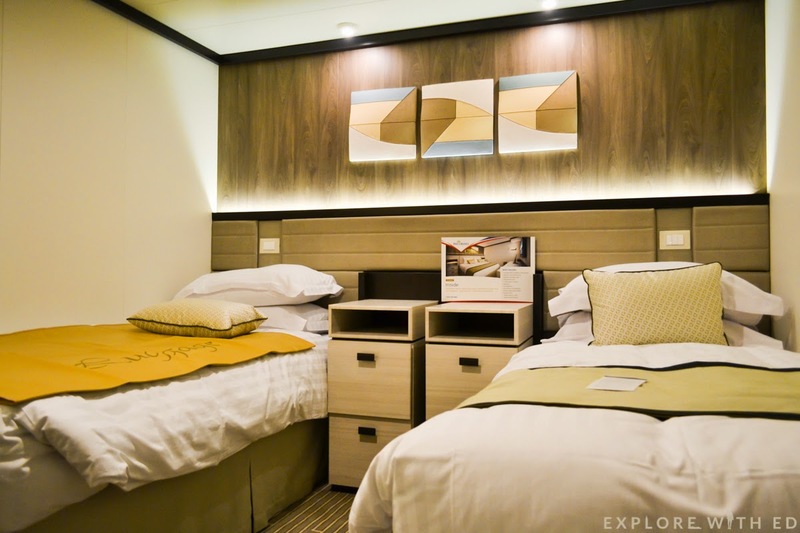 One thing I particularly enjoyed about my previous P&O cruise was the space saving, contemporary design of the cabins. 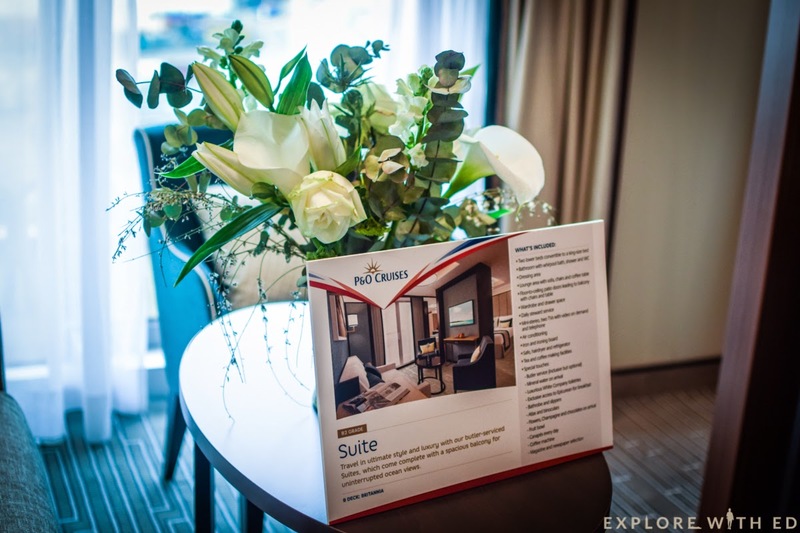 I had a look at one of Britannia’s stylish suites with a separate living and sleeping area. It’s neatly structured and had everything you’d like or need to cruise in complete comfort. I particularly liked the luxurious bathroom’s two entrances and divide, meaning you can have private access to the toilet if your company is in the bath or shower. The interior cabins are just as stylish with ample room to accommodate a couple. 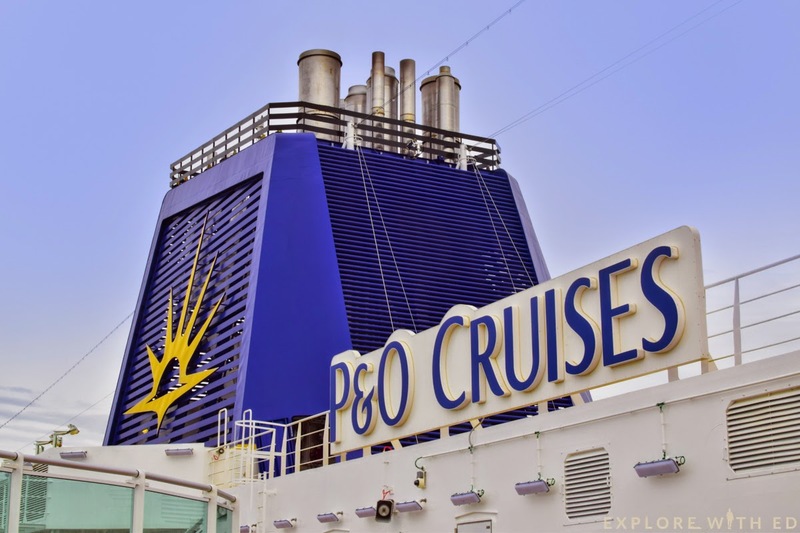 A good thing to note is P&O have included a number of cabins with one bed for single cruisers, saving you the cost of two! After soaking up the vibrant atmosphere once more in the atrium, I disembarked for my journey back home. 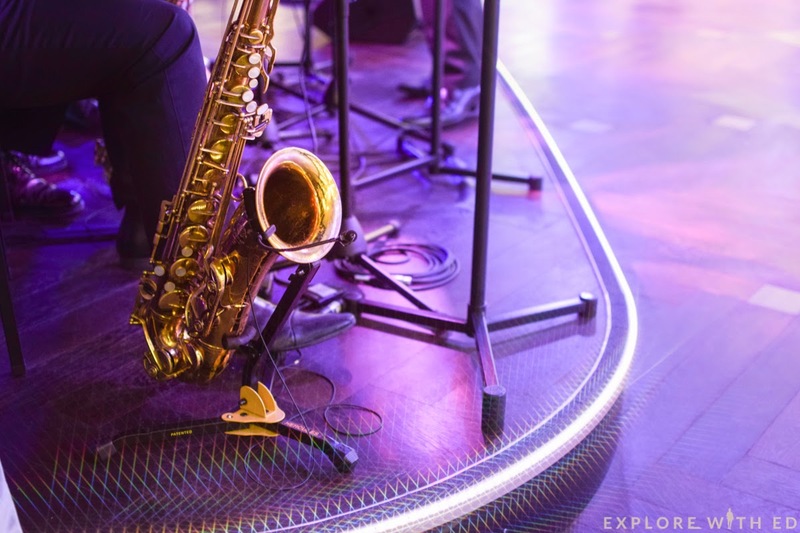 Britannia has entertainment and elegance in abundance – there’s plenty to eat, see and do in the most stylish and comfortable surroundings. 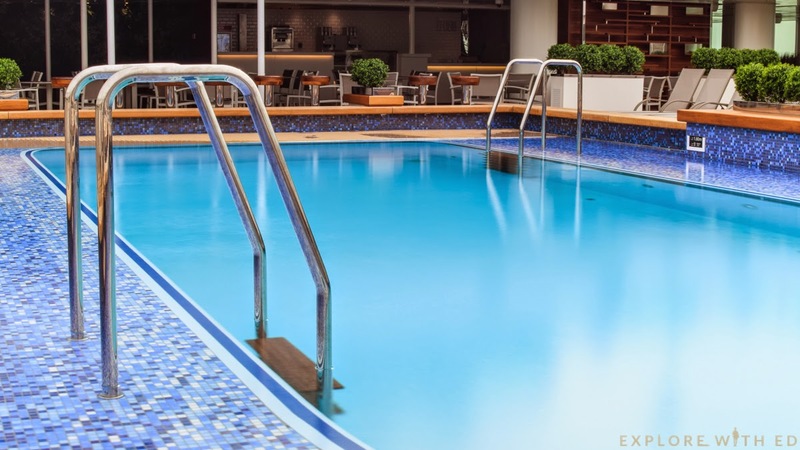 I can tell you from experience that cruising with P&O is not stuffy or uneventful – it’s full of life and friendly faces, but spacious to enjoy a little me time… Oasis Spa anyone? Thank you for giving me the chance to explore this spectacular ship Cruise Critic and P&O, I hope to see Britannia again sometime! I have another exciting cruise booked for the Summer – follow me on twitter (@ExploreWithEd) or bloglovin’ for updates and more! Business enquiries and PR, please refer to my contact page if you’d like to collaborate.